Zee Monodee: Progress Friday Update! 3 new contracts & a brand-new-looking site! Progress Friday Update! 3 new contracts & a brand-new-looking site! Seen anything different here? No...? (what do you mean, No???) LOL. Forgive me, but I'm absolutely giddy right now. 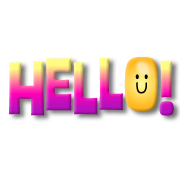 Spent most of the morning tweaking with codes and all that lovely hoop-la to make an airhead and/or non-nerd cross-eyed, and this is the result. A blog that doubles up as a website and steers clear of the previous clutter I had displaying on all my pages. Found some nifty tips and tutorials on the Net (what can you not find on the Net???) and here's the result. Your thoughts? Anyhow, it's been a really, really long time since I posted a Friday update. To tell you the truth, the reason is because... I didn't have any update to post. With the hyenas at home, it took nearly all my brainpower to work on the rewrites and edits/polish on my Island Girls series before I managed to sub somewhat on deadline. Then the real holiday season started, with hubby staying home half the time, and there went any hope of getting anything done. Not that I still possessed the brain cells necessary to write by then. To laze out seemed like the best choice while I let my synapses re-wire themselves. Have they re-wired? I'm not too sure... because, you see, I'm opening WIP documents and staring at blank half-pages this past week. With kiddo back in school, I expected to ramp up and rev up all guns a'blazing to write, but it sorta looks like I've been away from my WIPs for too long and need to re-acquaint myself with them again. Well, guess what? Those 3 Island Girls books I rewrote all through November and half of December... have been contracted at Decadent Publishing, for the African Ubuntu line! Seems like the editors loved the stories, and little me couldn't be any prouder. You see, these are the stories that originally called me to writing. Book 1 in this series, The Other Side, was my first ever foray into the world of writing. It was pubbed by a local publisher here in Mauritius, did pretty well, too, but when the rights reverted to me, I took them. Why? Because I had grown a huge lot in the 7 years since I'd penned this book, and this progress showed in my writing (and was sorely lacking in that original version!). The story of a divorcee of Indian origin, a girl born in London to Mauritian parents, it spoke of how she met up with her first love when she comes back to the island. The one that got away; a man she gave up on, because he is of a different race. On this backdrop of Mauritian society, I had their love bloom. Diya had her story briefly published with a now-disbanded epublisher, but Neha never got the chance to tell the world her story. Enter Decadent and their Ubuntu line... and these books seemed 'perfect' for the requirements. What did I have to lose, right? Turns out... nothing! I only gained, and now have 3 more babies ready to come out into the world this year. And speaking of my babies, one of them received its fantabulous cover over the past few weeks. 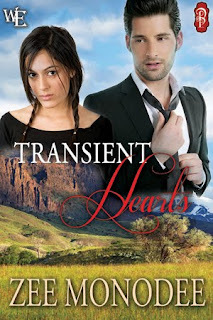 Check out the gorgeous cover Scott Carpenter created for my first Western Escape book, Transient Hearts. The models are totally Shayne and Grayson, while the landscape portrays, to a T, a pivotal scene's location in the book. So now we head into the weekend and I need to wrap my head again around the idea of writing. Of getting into my WIPs, more precisely. My bestie, Natalie G. Owens, is expecting me to write my part of a chapter in our collaborative Eternelles series, on Book 1, Inescapable, before she can work her magic on the ms. Then I have a brand new series I am starting (of course, you know me by now - I can never write just one book from a new concept/location!). Hope ye all enjoy a fabulous weekend with your loved ones! Congrats, Zee. You've been very busy. And your new look site looks great. Sooo lovely to see you dropping here. Yes, I remember you read the first two, and how your support pushed me to strive for more. Won't ever forget that! Love you to bits, Lana!! Big big hugs!